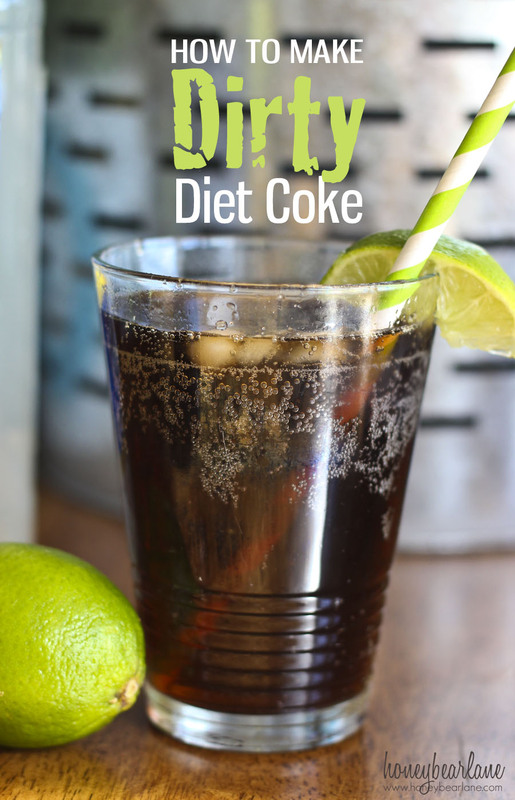 If you don’t know what Dirty Diet Coke is, here’s what it is: the most delicious form of Diet Coke you have ever tasted. There’s a couple of new stores/restaurants (I’m not sure what to call them since they serve nothing but treats) around my town that serve a dirty Diet Coke. They don’t cost much, so why the need to do my own? Because every time we wait in the 10 minute line, my kids will be begging for cookies, ice cream, or their own drinks. And sometimes all I want is a dirty Diet Coke. I got my coconut syrup from World Market, and I also bought the pump which make dispensing super easy. 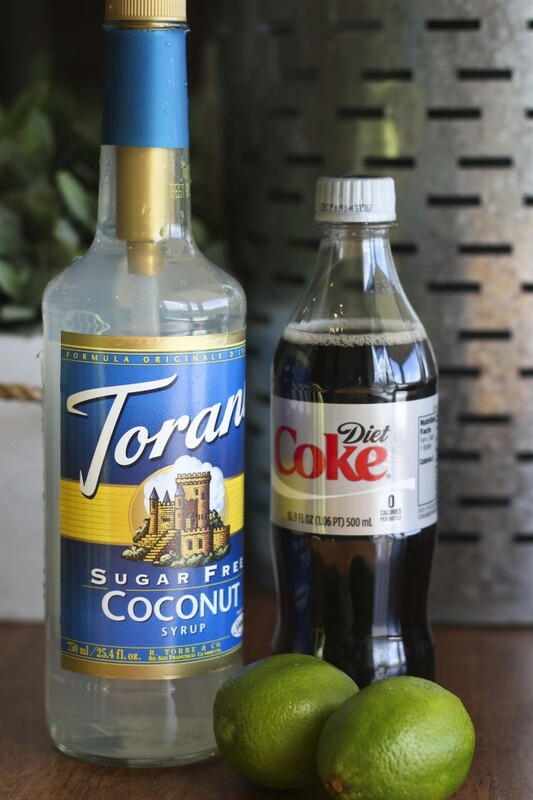 Pour the Diet Coke into a glass, add two pumps of the coconut syrup, then squeeze a lime. I’ve even skipped the lime and it still tasted great. I also did this to Sprite and it was yummy. Basically every drink tastes better with coconut syrup! 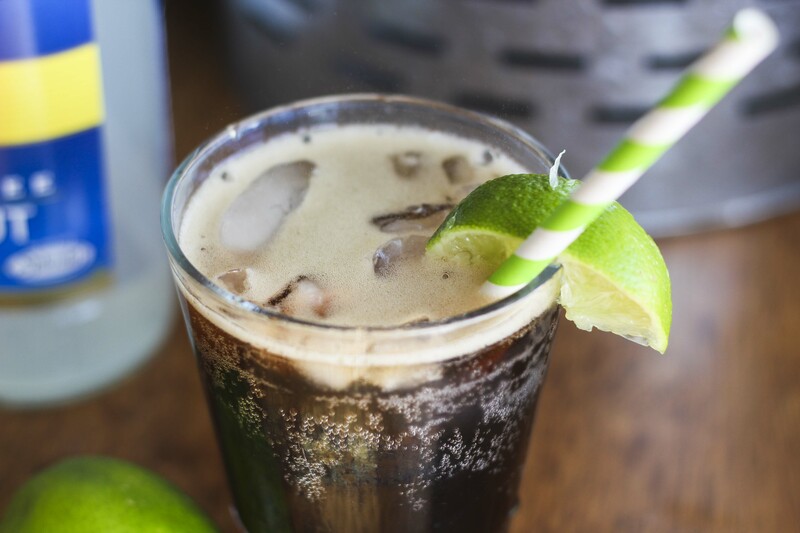 This is a super easy recipe that is an awesome pick-me-up drink when your daughter has had an accident IN the store, fought with her brother all day, then pooped her pants. That may or may not have actually happened yesterday. All resolve to stay away from soda went out the window—being a parent sometimes just means survival! Happy Diet Coke! Have you ever tried it with a splash of cream in it? Not whipping cream, but half-n-half? It looks funky when it mixes with the lime juice, which truly makes it a DIRTY Diet Coke, but it tastes divine. You should try it at least once. YUM. Sounds yummy! I will have to try it! Bridget, you’re. a girl after my own heart! Always looking for something at night but don’t want to blow the diet, so I drink a glass of diet coke with about 2-3 tablespoons of whatever coffee creamer I have, chocolate creamer is my favorite! It’s so great–I love it! This is a good idea, thanks! When we have soda it’s a treat like candy, so why just have plain soda?! Also, try adding half juice to your favorite clear soda. We use Blue Sky gingerale with Santa Cruz organic mango lemonade. This sounds sooo delish I wish I still drank Diet Coke but I gave it up 3 years ago. I do like the suggestion of adding to an adult drink though so I may consider a dirty vodka sprite of sorts…thanks for the tip!